Portfolio Page will give you an overview of my work, and art. Native American Rock Art, visions of art and spirit. Hello there, my name is Patrick Hayes I have been pursuing my Passion for Photography more than 30 years. This has led me to travel and explore many regions of the United States and the World. I lived and worked aboard the SPV Star Flyer, a four masted Tall Ship, reaching Ports in the Caribbean, Spain, France, Italy, the Greek Isles and Turkey. I worked as a String Photographer for Associated Press in the Philadelphia Metro Area, covering sports, news and features. I first got my taste of the desert southwest in the early ninety's. I have spent last 14 years exploring Zion National Park and the Grand Staircase-Escalante National Monument and the surrounding areas. 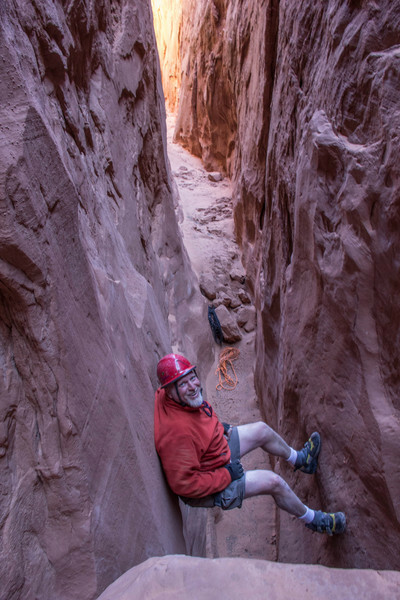 My access to many of these pristine and remote areas was with my friend Rick Green, Owner and Guide of Excursions of Escalante. I have two companions in my adventure. Two Labs, a Chocolate Lab named Beau "Marley" Brown and her son a Black Lab named "Beau" the Bear. We love to get into the remote areas and off the beaten path. Let my images give you a glimpse into the beauty of the World around us.